Starting with a modest beginning in the year 2005, we are one of the leading manufacturer, exporter and supplier of Handmade Cotton Rugs. Under the surveillance of our experienced professionals, the offered rugs are crafted using the finest quality cotton. The provided rugs are widely used in resorts, hotels as well as homes for decorating floors. The offered rugs are sure to add a magnificent look to the floor of interior. Apart from this, these Handmade Cotton Rugs can be purchased from us at economical prices. We MB exports leading manufacturers and suppliers of handmade Cotton Rugs. We office best quality products in best prices. *We offer excellent quality Mats Rugs that are widely used in residences, resorts and hotels. 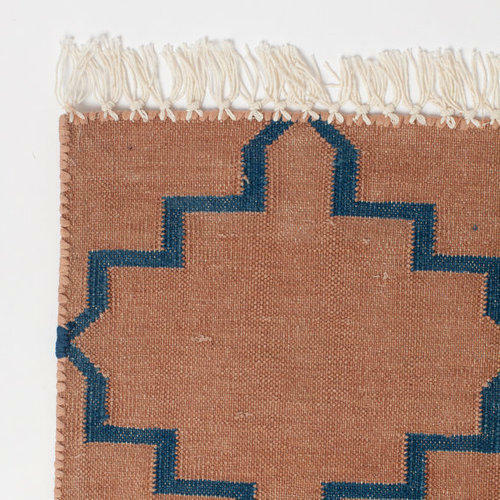 *Designed using high quality raw materials, these rugs are crafted with high precision as per the latest market trends. Established in year 2006, M. B. Exports, we are engaged in manufacturing and exporting of a wide range of Handicraft Items with an experience of almost six years. Our range of products includes Wooden Artwares, Metal Artware, Aluminum Artwares and many more. Our products are designed by efficient designers and craftsmen in traditional and contemporary designs. These are available in various shapes, sizes and designs in order to cater to the needs and demands of our valued customers. The Handicraft products manufactured by us reflect the rich culture and traditions of India. We are exporting our products to Europe. Our craftsman and designers use the latest machinery and technology to design a vast range of handicraft items according to the latest market trends. The raw materials used in manufacturing these products are obtained from quality vendors in order to ensure that a quality range of products is offered to our esteemed customers spread all over the world. These products are quality tested on defined parameters such as texture, colour, finish, weight and dimensions before sending them to the packaging department. We offer customized packaging as well as buyer label.